As I photographed the glass of wine on the balcony overlooking the ocean, I knew it would be a spectacular Instagram post. I proudly clicked the camera icon and voila – it was up with the appropriate #happyhour and #woohoo hashtags. Imagine my horror when, five minutes later as I checked for likes, I realized I had posted it on the account of my 11-year-old daughter. Nice. Well, the days of kids stealing our phones and logging in and out of client accounts is over, along with a few other problems typical to social media. For all of the time we spend on social media, for both work and pleasure, it’s nice to know there are some small solutions coming down the bend to make using your favorite sites a little easier and more fun. Simple as that! I’ve already been using this feature and it is just so great. Can’t believe it’s taken this long, but I’m glad it’s here. Facebook is rolling out “reactions” this month. 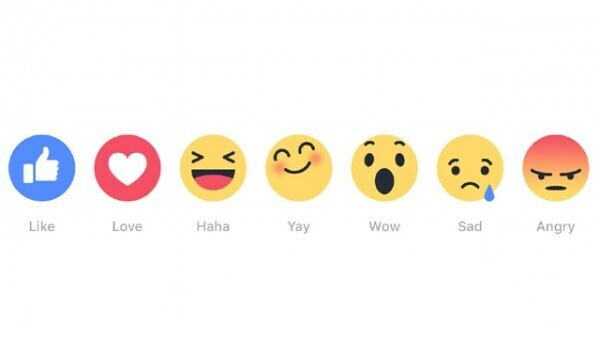 Reactions are the new “like” button, a series of six emojis meant to convey the appropriate reaction to a Facebook post – angry, sad, wow, haha, yay and love. Of course, you can still use the old standby “like” but this will allow users to have more fun with their responses and hopefully interact more with Facebook posts.